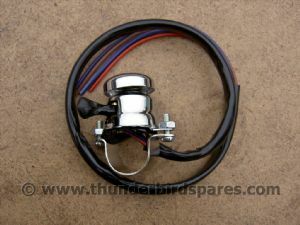 This is a good replica of the Lucas handlebar switch which fuctions as a dip and horn switch. 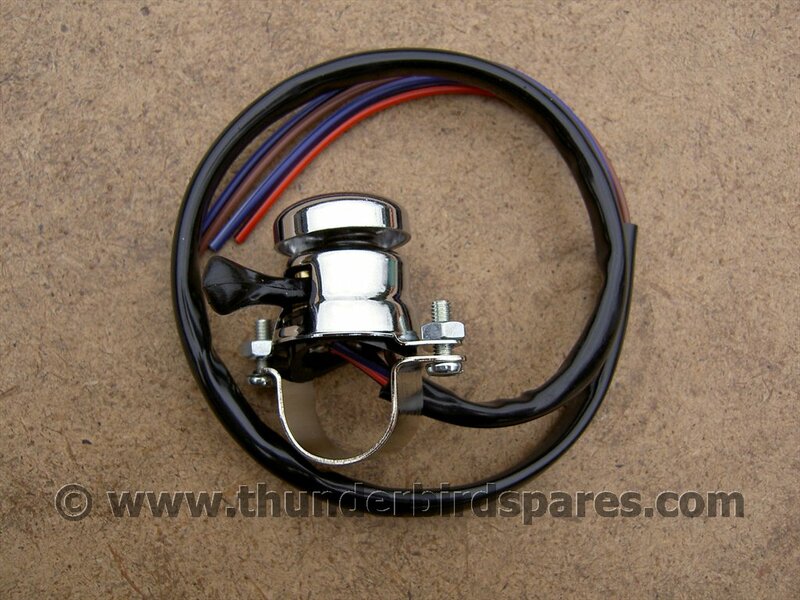 They were fitted on the left side of the handlebar as original equipment by Triumph and BSA (and many others) throughout the 1950's and '60's or supplied as an aftermarket accessory. This switch has a black sheathing to the cable, a grey sheathed type is also usually available, please see our other listings. We also sell the Wipac switches which have dip, horn and stop functions, please see our other listings.